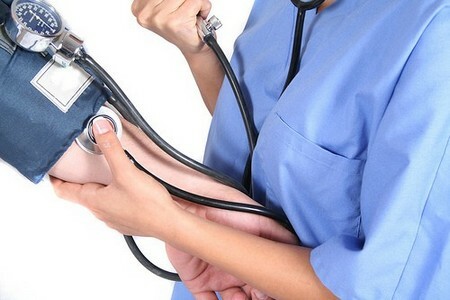 The work of any medical professional can be stressful and at times cause a great deal of anxiety, and in extreme cases lead to depression and the inability to function which of course results in time away from the workplace, a situation that can be devastating for the nurse assistant financially and motivationally. Fortunately the numbers of people who face these extremes are statistically low, but nevertheless even the possibility of burnout or depression needs to be monitored and dealt with before the worst case scenario can occur. Most employers in health care recognize that nursing assistants do sometimes need help to deal with emotional situations, typically these are thought of as originating from traumatic events such as patient deaths, or coping with serious injuries in children etc, though in fact most medical personnel require psychological help due to a steady build up of stress and usually the event attributed to their breakdown or heightened emotional situation is simply the most recent, and could be thought of as the straw that broke the camel’s back. It is vitally important then that all medical personnel receive ongoing support to help them deal with the stresses of their work, and nurse assistants should not exclude themselves from this process. Understanding that everyone who deals with pain and heartache in their daily working life is susceptible to feelings of depression and worry is a good starting point to finding techniques for coping, and one of the best methods endorsed by psychologists is group discussion and group empathy. Recognition that workplace events contribute to stress is the first step for any nurse assistant who plans to enjoy a long and productive career, but it isn’t enough to wait until the telltale signs start, a responsible employee will take the initiative and join or create their own support group long before a counselor or psychologist is every needed to help them. Effectively using a support group can in fact reduce to zero the likelihood of ever reaching the stage where a counselor is required. To be effective any support group joined needs to be established with clear objectives and procedures that allow all participants to share their stories and fears, and contribute to the wellness of their peers through commenting and empathy of their issues. Not all meetings will focus on traumatic situations, many will be a celebration of life, which are as important as talking about the problems in the workplace because balance is maintained. Nurse assistants should join support groups that include other nurse assistants and health care workers to avoid the situation of other members not understanding their needs. Within the workplace adhoc support groups can be created when needed, and often change frequently as co-workers become bored or new staff join, and these types of groups usually mirror work social clubs where activities or after work drinks are organized by one or more ring leaders. At times adhoc support groups can be quite cliquey and usually lack specific goals or objectives other than to have fun and bring together co-workers in a social setting. When workplace stresses are minimal these can be effective, but rarely remain effective in the face of workplace stress. At all times the nurse assistant who requires support to retain their motivation should consider how likely it is the support group will satisfy their emotional needs and assist in preventing burnout. STNA	Copyright © 2019 All Rights Reserved.